Thanks for visiting Ruby's Web Page. If you are interested in having her poems in book form i can make it available for you. When Ruby left her earth suit behind and went from here to the next dimension of eternity, it was a sad day for the family and freinds she left behind. I was greatly saddened by this, but quickly recorded her poems on tape and i provided some background music on my guitar. Finally I have remastered those tapes and enhanced them digitally and now are on CD (see pic below). I recite the poems much like I remember my grandmother reciting them to me. At the end of the CD I have a rare recording of her voice as she left me a message on my answering machine. Also, If you are interested in a transcript of her book, i can make it available to you. I want people to enjoy her poetry , art and philosophy on life. I know she would be glad to see that her poems and such are still being appreciated and cherished. This is what she has left behind for us!! 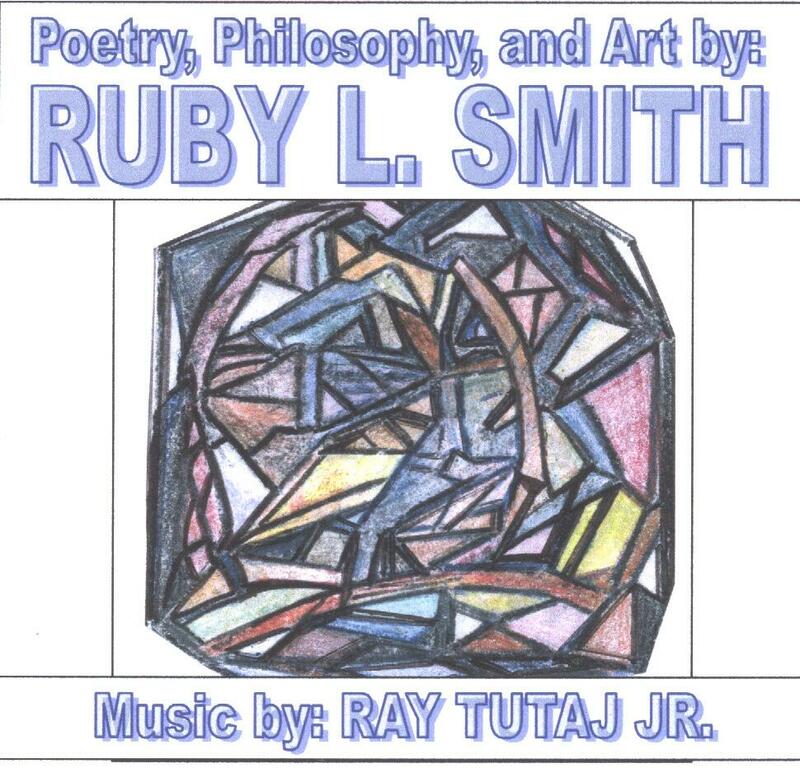 CD compiled by Ray Tutaj Jr. Attention: Family; If you have any pictures of Ruby and would like to help add to the collection on this website please help out.